Let’s break those beginners pages together. 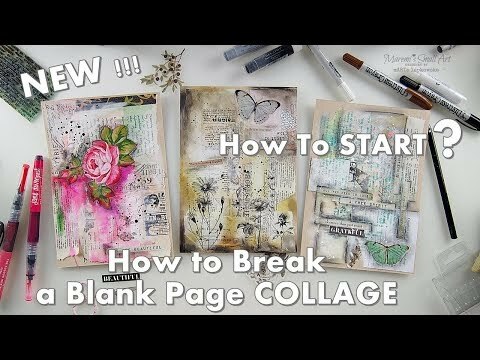 If you are a journal lover, collage fun or mixed media enthusiasts this video series is perfect for you. I will show you in real time how to start, how to begin and how to break a fear f crafting. There is no right or wrong when it comes to art journaling. Use some magazine cut outs to make your background. There is no rules, everyone can enjoy their craft. Join me today!